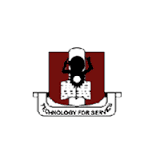 The Executive Secretary of the National Universities Commission (NUC), Prof. Julius Okojie, has disclosed that the commission has withdrawn the accreditation of some of the academic programmes offered in Enugu State University of Science and Technology. According to him, The institution hurriedly employed some lecturers in order to sack through the accreditation process and immediately sacked them after receiving the accreditation. 0 Response to "ESUT Loses Accreditation Following Sack of Lecturers"